Are you going on holiday, travelling in your own vehicle with Google maps on your smartphone? What if your data balance is low and cannot recharge it straight away? What if there is no signal to your smartphone and cannot use an Internet connection? How would you reach your destination? Well, for all these issues we are going to introduce these 5 GPS apps which do not require an internet connection. Yes, you heard it right. These GPS apps will work offline and help you to reach your destination without any issues. There are dozens of offline map applications that will help you know where you are at any time (abroad or in your own city). In those dozens, here are the 5 best apps for you. No need to worry about low data balance, no need to worry about the signals. All you need to do is to select the perfect app which suits you the best, then download and install to use. Do you want to know those best GPS apps? Then why late, scroll down to see those apps. 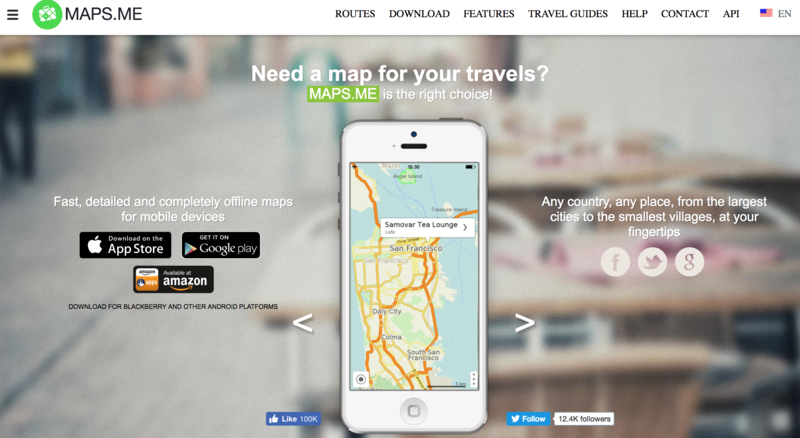 This is a free application that allows you to download maps from all over the world on your mobile phone, and then later use it offline. Thus, it also offers points of interest, although if you want to save them on your map you must access the paid version. Users say that the greatest advantage of maps.me is its speed and fluidity. Maps.me is a totally offline app. No need for an internet connection and you can save money on roaming charges. It offers worldwide maps. You can download the entire World map and like the World is in your pocket. It helps to download even small islands. The main advantage of this app is fast and never freezes. You can zoom in and zoom out whenever you want. This app is available for almost all popular devices. If you are a lover of outdoor activities, this is your app. It is especially dedicated to cyclists, travellers or hikers, as it includes all paths and slopes. Its strong point is that users can save their preferred routes and places. The paid version also allows you to record offline routes, taking into account factors such as speed and distance in real time. Galileo is available from December 2016. You can download the maps from the app. You can explore great places nearby with the incredible fast offline search. You can record your GPS tracks for the later use. You can bookmark your favourite locations or the upcoming locations. Use the language you want. This is an app developed by Nokia and is available for Android, iOS and Windows Phone. To use it, you must create an account completely free, and you will have access to offline maps on all continents. If you are going to rent a car, you might be interested in this app. It offers routes and movements in real time and includes obstacles that may arise along the way. Users can also share information about accidents, police checks or any other danger. It works with satellite technology and is free. 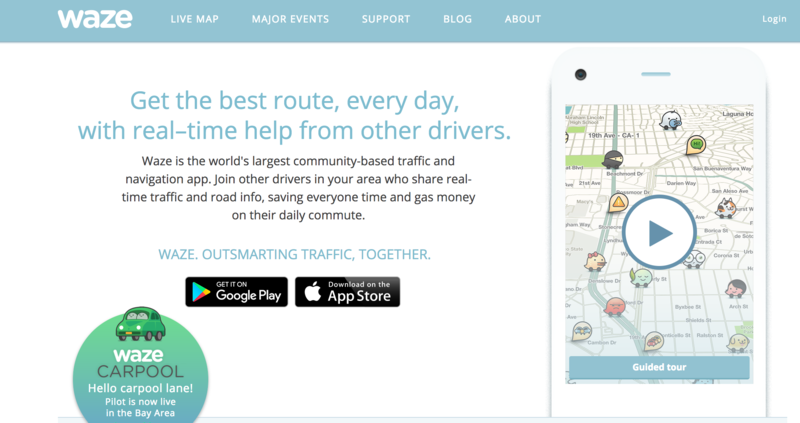 Get alerted before you approach police, accidents, road hazards or traffic jams, all shared by other drivers in real-time. It’s like a personal heads-up from a few million of your friends on the road. With community edited apps you won’t hit a dead end. You can see the other people (maybe your friends) alone driving to your destination when connected to the Facebook. Waze app helps you to save the money on gas, everytime you fill up. It helps to navigate to the cheapest station on your route. This free app allows to consult alternative routes and facilitates the location of radars and incorporates to the route the possible changes. With the payment version, you can have voice instructions, speed limits and consult traffic in real time. Sygic app is the most advanced GPS offline maps navigation. You can navigate with our without an internet connection with high-quality maps for over 200 countries. Sygic also offers the real-time traffic with data collected by the millions of the drivers. Daily warnings for over 30,000-speed cameras and speed limits. Project navigation on the windshield of your car at night. Fill up the best price with real-time information about gas prices. Find the parking with live info about 40 million spot prices and vacancies. These are the Five GPS apps which work offline and do not need an internet connection. You can just download once and use it for the lifetime. I hope this article helped you. If you have any queries let us know in the below comments. If you know any other best apps which work offline and without an internet connection, share it with our users by writing down in the below comments. Which GPS offline maps app do you use while travelling? Having this handy list of apps are appealing for anyone including me who face net connection problem while traveling throughout of networks. Thanks a lot for making all free from this common problem pepole usually face. Thank you for sharing your valuable feedback. Keep visiting for more stuff. We will check it out and let you know. As of now they are working fine on Android and iOS devices. Will these work on kindle fire?